We are very proud of the work we have created over the past 13 years, and our customers are more successful as a result. The case studies and examples below highlight a few of the solutions we have created and the results our customers have experienced. Springfield Armory is one of the leading firearms manufacturers in the United Status. Originally built at the request of George Washington in 1777, for over two centuries Springfield Armory has defined American innovation. 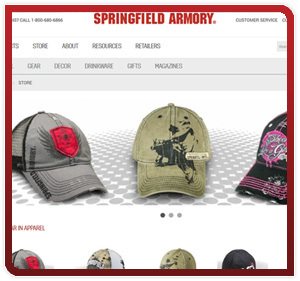 In additions to firearms parts and gear their online store sells apparel, décor and giftware. Red Leaf is the sole development company in charge of maintenance and upgrades as well as customizations to their shopping cart solution. 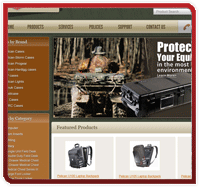 Website development and ProductCart development by Red Leaf Development, design by Springfield Armory. 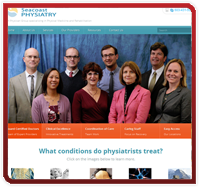 Seacoast Physiatry is a group of health care specialists with the collective goal of helping you return to your physical, vocational, athletic and social best. We implemented Wordpress as the base solution because of the flexibility and ease-of-use that it offers our clients. Wordpress site and theme selection by Red Leaf Development. 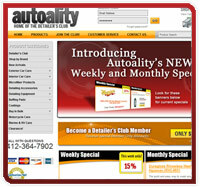 Autoality is an online retailer committed to giving deals to car enthusiasts, automotive professionals and car detailers alike. Club members receive discounted pricing on hundreds of car care products once they purchase an annual membership to the site. We implemented the ProductCart eCommerce shopping cart solution along with Subscription Bridge which is tightly integrated with ProductCart. Website design, development and ProductCart development by Red Leaf Development. 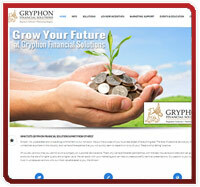 Gryphon Financial Solutions is an Independent Marketing Organization that trains and educates financial advisors. We implemented Wordpress as the base solution because of the flexibility and ease-of-use that it offers our clients. Wordpress site and theme selection by Red Leaf Development. 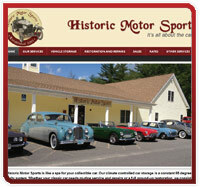 Historic Motor Sports is an automotive service, repair, restoration, and climate controlled storage facility in Candia, NH. We implemented Wordpress as the base solution because of the flexibility and ease-of-use that it offers our clients. Wordpress site and theme selection by Red Leaf Development. Dedicating Dollars is an online fundraising solution that encourages people to give to important causes. Red Leaf built this site using the popular "crowdfunding" model including tools for social media, email distribution and photo/video sharing. We implemented ProductCart's eCommerce shopping cart as the base solution because of the integrations with popular payment gateways and PA-DSS level security. Logo design, website design, development and ProductCart development by Red Leaf Development. 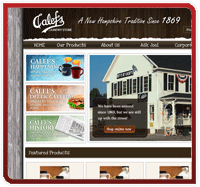 Calefs has been a New Hampshire tradition since 1869. They sell a huge range of speciality and NH made products direct to consumers and needed to overhaul their web presence and strengthen their ecommerce capabilities. We performed a complete website redesign and implemented ProductCart's eCommerce shopping cart solution. Website design, development and ProductCart development by Red Leaf Development. 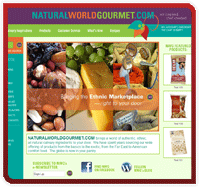 Natural World Gourmet brings a world of authentic, ethnic, all-natural culinary ingredients to your door. Red Leaf built a complete ecommerce solution including ProductCart's eCommerce shopping cart. Website development and ProductCart development by Red Leaf Development, website design by Natural World Gourment. Custom Case Company designs and builds durable transit cases for multiple devices and applications. They also provide custom cut foam direct to consumer with the primary goal of excellent customer service. Red Leaf performed a complete website redesign including the design of a new logo and implemented ProductCart's eCommerce shopping cart solution. Logo design, website design, development and ProductCart development by Red Leaf Development. 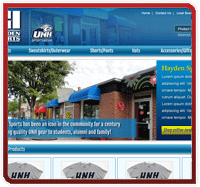 For 25 years Hayden Sports has been selling UNH sportswear and athletic merchandise to loyal UNH fans, students and alums. They have been a client of ours since 2006 and recently decided to upgrade their web design. We also upgraded their ecommerce back end to allow for more features and functionality such as social media integration and search engine analytics. Website design, development and ProductCart development by Red Leaf Development. 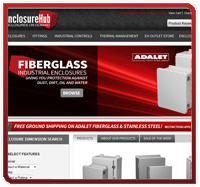 EnclosureHub is a web-based distributor specializing in electrical enclosures made of 304 stainless steel, painted steel, die cast aluminum and fiberglass. Customers can expect a highly knowledgable sales staff, great service and an expansive collection of name brand enclosures. 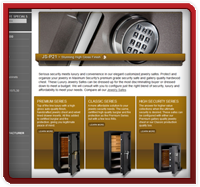 We redesigned their site with the customer in mind and implemented a search to allow users to find enclosures based on material, rating and dimensions. We also worked with their marketing team to design a new logo. Enclosure Hub already uses the ProductCart eCommerce shopping cart solution. Logo design, website design, development and ProductCart development by Red Leaf Development. 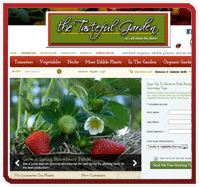 The Tasteful Garden delivers certified organic, edible plants to your door. They specialize in heirloom, hybrid and gourmet vegetable varieties grown using "heritage gardening" techniques. Red Leaf currently maintains their shopping cart solution. Website development and ProductCart development by Red Leaf Development, website design by Grey Beard Design Group. 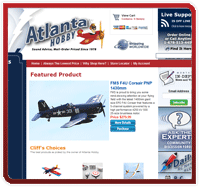 Atlanta Hobby is a online retailer and distributor of everything for the serious Radio Controlled hobbist! Customer service is their speciality and they offer a complete line of beginner to expert parts and kits. Red Leaf currently maintains their shopping cart solution. Website development and ProductCart development by Red Leaf Development, website design by Atlanta Hobby. Sterling is the premier distributor of hearth products in New England. 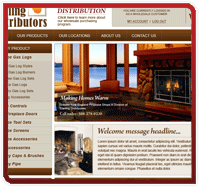 They sell a huge range of fireplace products direct to retail stores, contractors, and chimney professionals. We performed a complete website redesign including the design of a new logo and implemented the ProductCart eCommerce shopping cart solution along with our custom store locator add-on. Website design, development and ProductCart development by Red Leaf Development. Since 1938 Namemaker has been manufacturing clothing labels, iron on labels and sewing labels in their US-based warehouse using their unique 9 step process. They guarantee their clothing labels will withstand the life of your garment. We implemented their new design and continue to make ongoing improvements to their site. 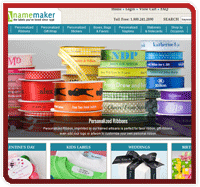 Website development and ProductCart development by Red Leaf Development, website design by Namemaker. Detailer's Club is an ecommerce storefront developed to give deals to automotive professionals and car detailers. 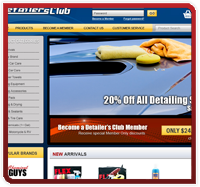 Club members receive discounted pricing on hundreds of car care products once they purchase an annual membership to the site. We implemented the ProductCart eCommerce shopping cart solution along with Subscription Bridge which is tightly integrated with ProductCart. Website design, development and ProductCart development by Red Leaf Development. 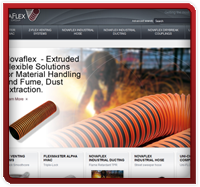 Novaflex has been a client of ours since 2006. Initially, we implemented the ProductCart eCommerce shopping cart solution, allowing their customers to browse the website in "Catalog-only" mode (customers can view product lines, and get photos and specs but not purchase those products). In 2008, we worked with Novaflex again to globalize their content, making their site available in both Spanish and French. At the click of a button users can toggle between the 3 langauges. In 2010, we upgraded them to the most recent version of ProductCart and re-implemented the customizations that we had made for them. Our most recent projects include a re-design and additional development of the main company website (novaflex.com) and design and development for 2 micro-sites that share the same admin as the main site. Company website designed by 3rd party designer, ProductCart development completed by Red Leaf Development. Working closely with Monster Cable, makers of High-Definition HDMI and Home Theater Cables, we implemented an eCommerce solution to increase revenue and enhance their customer's shopping experience. We added integration with their in-house ERP system, PeopleSoft, to keep their business running smoothly. 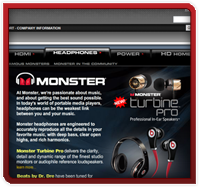 Monster Cable can now offer their customers secure checkout, shipment tracking, coupons and discounts, wish list functionality and many other standard eCommerce features. 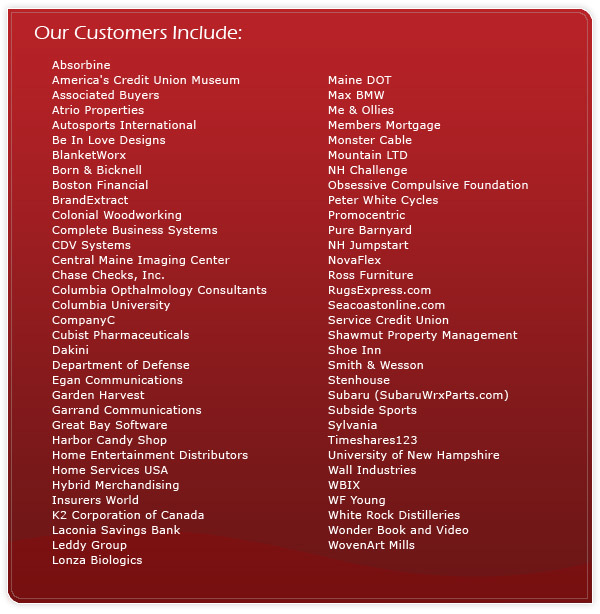 Like many of our clients, Monster Cable uses a backend inventory management system. We integrated that system with ProductCart so that inventory and other product details are kept up to date. In addition, order information is pushed to their backend system and changes to orders (such as shipping status and tracking information) are reflected online virtually real-time. Company website designed by Monster Cable, ProductCart development completed by Red Leaf Development. 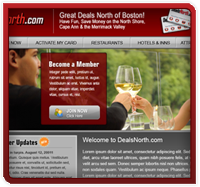 Deals North needed a new ecommerce site to improve their customers experience when buying memberships and finding great member-only deals. The company, located in South Hamilton Mass., offers annual club memberships for deals and discounts for dining and entertainment on the North Shore. We added a deals locator (by zip radius search) and custom tools to make signup up for and managing a membership easy. Website design, development and ProductCart development by Red Leaf Development. Working closely with MCI, a company that organizes customized performance tours for choirs, bands and orchestras, Red Leaf developed a website that allows tour groups the ability to make secure online payments based on their groups package. This includes custom tools in the backend to allow administrators to create group specific packages and payment due dates, and also email reminders to travelers about upcoming payments and automated reports on various things like overdue payments and payment histories. Website development and ProductCart development by Red Leaf Development. 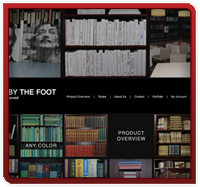 Red Leaf implemented Early Impacts ProductCart for long time customer Wonder Book's "Books by the Foot" site. 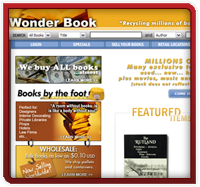 Wonder Book is a unique book retailer, selling books in bulk via their unique service that supplies interior decorators, hotels, law firms and retail chains across America with decor type books. Website design, development and ProductCart development by Red Leaf Development. Nancy at Maximum Security came to us to make some changes to the company's website, but what she really needed was a responsive company that could make quick turn around type changes. After working with us to make small to medium size changes for over a year they found that they needed to make a larger change to their jewelery safe pages. We took their ideas and transformed these category level pages into an online showroom for their jewelery safe line of products. Website development and ProductCart development by Red Leaf Development. 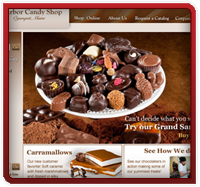 Harbor Candy Shop has been a customer of ours since 2005. They initially came to us because they needed a new website that reflected their unique character and charm, and made them stand out as an established Maine-based company with global reach and worldwide customers. In addition to a creative new look to their website, they needed a new eCommerce shopping cart, internal order management system and reporting tools to replace their existing systems. In 2011, they came back to us for a re-design and ProductCart upgrade. We re-implemented many of the features from the older site and added some new enhancements as well! Website design, development and ProductCart development by Red Leaf Development. 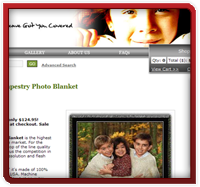 Blanketworx.com is the largest online source for personalized woven items such as blankets, towels, pillows, pictures, and much more! Back in 2008, Red Leaf implemented a series of changes to the ProductCart eCommerce shopping cart software we installed to allow the staff at Blanketworx to access order, customer, payment, and shipping information from all four sites in one admin area. 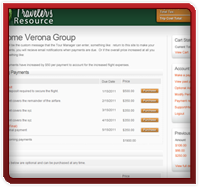 In addition to that, settings, categories, and payment options can all be set on a site-by-site basis from one admin area. In the fall of 2011 we completed an upgrade of the ProductCart software and re-implemented all of the customizations that were made previously. We added a couple of new features as well. Website designs, development and ProductCart development by Red Leaf Development. Long time customer Dakini came to us to ugrade and re-design their ecommerce site to the latest version of ProductCart. The result is a fresh new look with tons of new features, and our client could not be more happy! Website design, development and ProductCart development by Red Leaf Development. 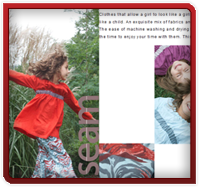 We worked with Seam, a specialty kids clothing store, to implement their existing design into Early Impact's ProductCart. This one was a little tricky because this client was looking for the site to be very clean and simple. We were forced to remove quite a few built in ProductCart features. We still think it looks great! Company website designed by Seam, ProductCart development completed by Red Leaf Development. Executive Producer Stephan Condodemetraky has been a long time customer of ours. He came to us again in the spring/summer of 2010 to create a website for a show scheduled to air in the late fall 2010 into early spring 2011. The Robin Hood Rally is a reality television show in which participants race their own vehicles on closed scenic roads across the United States, competing to win prizes that include a Ferrari F430 and a Porsche. We built a site that provides information for fans, media, and investors. The site also allows wanna-be competitors to complete an entry form and manage their racer profiles. Show merchanise is sold via a ProductCart front and back end. Website design, development and ProductCart development by Red Leaf Development. 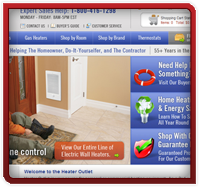 The staff at Heater Outlet knows everything about heating, cooling and ventilation systems. They came to us to build a site that would meet thier company goals, to ensure their customers complete satisfaction through unmatched customer service, preserving the idea of "honesty and integrity" while remaining "cutting edge". We built them an ecommerce site that allows them to sell quality, pre-tested and approved merchandise and offer their service knowledge and technical guidance. Website design, development and ProductCart development by Red Leaf Development. Americade is an annual motorcycle rally and event that takes place over the course of a week in Lake George Village, New York. 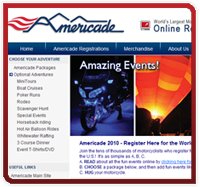 The staff at Americade needed an online registration tool that allowed customers to customize their tour package, adding special events, demos, and meals. We implemented ProductCart's Build-To-Order Add on and customized it a bit to meet their needs. 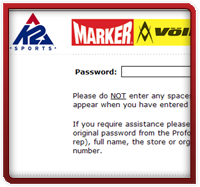 Customers provide information about themselves and their motorcycle and can checkout via Authorize.net secure checkout. As an added bonus Americade can sell promotional materials such as a Tour Photo CD through their site as well. Website design, development and ProductCart development by Red Leaf Development. Wentworth by the Sea Marina is a full service marina located along the New Castle peninsula in Little Harbor, New Castle, New Hampshire. Opened in 1988, the marina offers 170 slips for vessels up to 180 feet, along with numerous amenities. 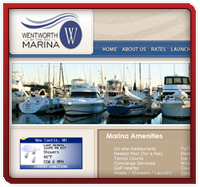 Their key objective is to cater to and provide professional service to both marina members and visitors. They understand the importance of service and put forth a tremendous amount of effort to ensure the safety, satisfaction and enjoyment of all marina guests. Website design, development and ProductCart development by Red Leaf Development. Exeter Subaru WRX Parts is an authorized Subaru parts dealer by Exeter Subaru, they supply high quality new and aftermarket parts and brands. They are one of the first dealerships to offer genuine Subaru OEM parts, specifically through an online eCommerce store. 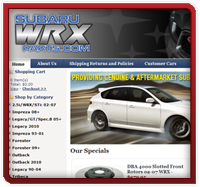 Red Leaf worked with the folks at Exeter Subaru to implement ProductCart eCommerce shopping cart software. Website design, development and ProductCart development by Red Leaf Development. 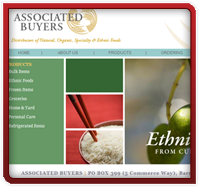 Originally established in the mid 1970's as a small natural foods company, Associated Buyers has become one of the largest suppliers of unusual and hard to find items, providing a diverse account base that includes retail stores, bakers, buyers clubs, and others with over 8,500 products from local and international vendors. Red Leaf implemented ProductCart's eCommerce shopping cart software which allowed Associated Buyers to cater directly to their large wholesale customer base. Company website designed by Associated Buyers, ProductCart development completed by Red Leaf Development. Established in 2006 by graphic designer Erin Burkhard and her husband Brian ("B.E. 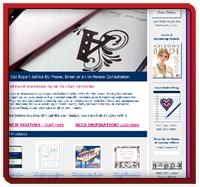 In Love"), Be In Love creates distinctive, custom invitations, personalized by the client. 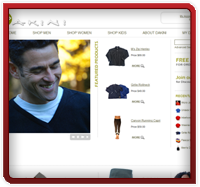 Red Leaf implemented and customized the default build-to-order functionality provided by ProductCart to give Be In Love the flexibility to offer custom color choices, return address text options, and more. We also added a set of invitation text fields that allow the customer to specify what content should go on each line of the invitation. This makes the ordering process simple - distinctive, personalized invitations are the result. Company website designed by Be In Love, ProductCart development completed by Red Leaf Development. Wonder Book has been a client of ours since 2005. Like many of our retainer clients, they need work done as soon as it is requested. We offer priority, 24/7/365 service to our retainer clients. In addition to the work we have done on a retainer Wonder Book has done many contract based projects with us. Most recently, we have been hired to re-design and upgrade their ProductCart based ecommerce storefront. They require a solution that will accommodate 1 million or more products, with searching speed and functionality being a major concern. Website design, development and ProductCart development by Red Leaf Development. 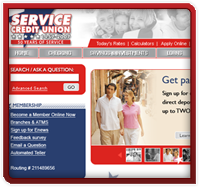 Service Credit Union turned to our team for assistance on work that was outside the abilities of their in-house staff. We were awarded the contract to re-design the new Service Credit Union website, which included implementation of Ektron's CMS400 and a new design. Company website and CMS development completed by Red Leaf Development. K2 Corporation of Canada is the Canadian branch of K2 Sports. K2 wanted to replace the paper system, known as "the pro-form," that sports-related professionals use to purchase clothing and equipment from K2, with an online system for ordering. This online system would allow for tighter controls on what individuals can purchase, and needed to be updated with real-time inventory levels. The site also had to be hosted in a secure environment and needed to be tested reguarly by a 3rd party security company for vulnerabilities. Website development and ProductCart development by Red Leaf Development. 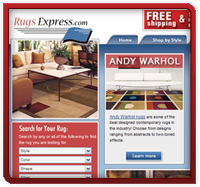 RugsExpress.com is a family owned and operated floor covering store that opened its doors in 1979 and is still in their original location today. For this brick-and-mortar store turned eCommerce storefront we created a new website design, and implemented ProductCart's eCommerce shopping cart and order management system, in addition to providing website consulting. Website design, development and ProductCart development by Red Leaf Development. 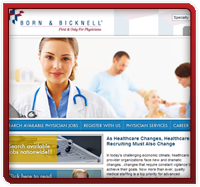 Born and Bicknell is a national physician recruitment and staffing company based out of Florida. Born and Bicknell needed to improve their company brand and attract more physicians, hospitals and doctors offices though a better website. The company had been engaging us in mostly retainer work. In 2009 we re-designed their website adding functionality to further the reach of their candidates and clients. Website design and development by Red Leaf Development. 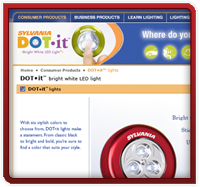 Working with Garrand and Sylvania, we created micro-sites for specific marketing initiatives involving new product lines. Email marketing, direct marketing and advanced statical trending capabilities were part of the micro sites to measure ROI. As an Online Fundraising and Crowdfunding Company, we rely solely on our website for our revenue stream. If there were ever any questions you were always (and still are) willing to address them immediately. I look forward to a long-lasting relationship with Red Leaf!